Romulus Craft is an independent ceramics studio in Washington, VT run by Ikuzi Teraki and Jeanne Bisson. They specialize in thrown and handbuilt tableware and decorative art. Ikuzi studied pottery in Kyoto, Japan for several years before moving to the states, and Jeanne has a history in visual arts, including glasswork. Romulus Craft first opened in California before moving to Vermont in 1986. For more information about the artists, as well as their pieces, please visit their website. I love the Japanese minimalism of Romulus' ceramics. I have admired their aesthetic for decades, and started collecting their work for my personal use over 10 years ago. 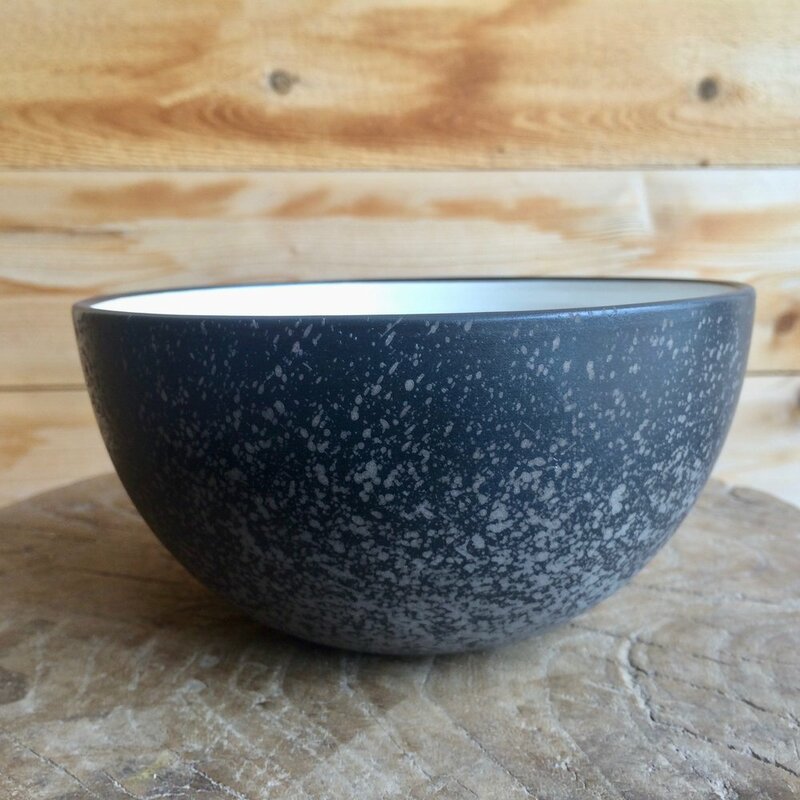 To my delight, I recently discovered Ikuzi and Jeanne had expanded their production, and thus I was able to fill my Deer Isle shop with Romulus bowls, plates, cups, and vases to share with my clients. Additional styles are available - contact me for more information.